What is growing up? This is the question Boyhood meditates upon. Aging is at its most dramatic during youth, those first 18 years we consider, because of how precipitous the changes are. Passed that point, everything can seem to become a blur. And what is fascinating to always consider, is during this tumultuous time, it leaves a lasting effect on the course of a human destiny. 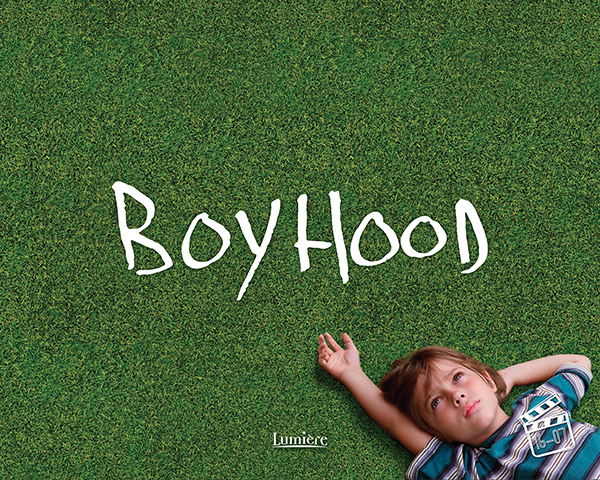 If tampered with in any way, boyhood can become irreparably harmed. Yet that, to some extent, is an excuse. There are multitudes who are raised in a non-idealistic manner yet who are able to become well-adjusted, healthy contributors and collaborators to their societies. No doubt what is provided in such a reality is the risk of destructive behaviors that arise as a result of not being conditioned to love life, or to just generally be happy. It is hard to change, let alone change someone, who finds it normal to be miserable then. We never get an impression of sadness from the main boy in the film. This despite his mother’s dissatisfaction with her life, causing them to constantly be moving as she pursues her goals. These goals were at first to support her two children as a single mother, but they eventually become tenure and authorship as she ages too. So while the film’s emphasis is on the boy, it, in general, encapsulates the passage of time of his environmental and familial surroundings. The boy also had to endure his mother’s mistakes in men. Three times. Yet for what purpose? What do over two and a half hours of one boyhood’s rather mediocre growth demonstrate? It does show this individual was able to be healthy while enduring unpleasantness which may be harsher than most gratefully face in their lives. But Boyhood doesn’t express anything fundamentally unique, let alone unique to the director Richard Linklater’s own film projects. It is more of the same of his style, set in more of the same setting of Texas. He does have a way of beautifying the most ordinary of conversations, yet this is solely a collage of such daily talk. It may try to resonate a twinge of nostalgia within the audience as they find similarities in their past life; then again it is quite hard to commiserate with having a drunkard stepfather while raised in Texas. The novel attempt, which must be lauded at least for trying, in capturing a single actor’s own character growth was mostly disappointing. We at the very least would have liked to see the actor be able to fill in his aging role more seriously, as genuinely feeling the sands of time as he himself has experienced. And yet, such immanence requires a degree of hindsight, which would be impossible for him to possess. In that case, perhaps Mr. Linklater was trying to have the actor approach his character unadulterated with such hindsight; but then it leaves the character incredibly impervious to empathy, as we see him act so dispossessed with his life, without a degree of seriousness an older actor would take to the role. Yes, this is certainly due to the limitations of the actor himself, as it is a very limited pool of individuals who would take on this ambition of being filmed over a decade of their lives. But in general, Mr. Linklater discovers several artistic truths through his effort. It is more vital for a dramatic art to have drama than to have a material veracity of what is being depicted, as a better actor with a strict meditation on the meaning of aging would have offered more embellishment of the work’s thesis. It is also, therefore, unnecessary to a human subject to be materially orthodox in creating a symbolic representation of reality. The mind and its imagination is incredibly forgiving and tolerant of artistic liberties to creating a resemblance to reality, and would rather prefer a sweet sentence to proper grammar.